How to eliminate/nominate candidates without guessing? For the 3s it's quite easy because of the odd numbers but how to get further?! 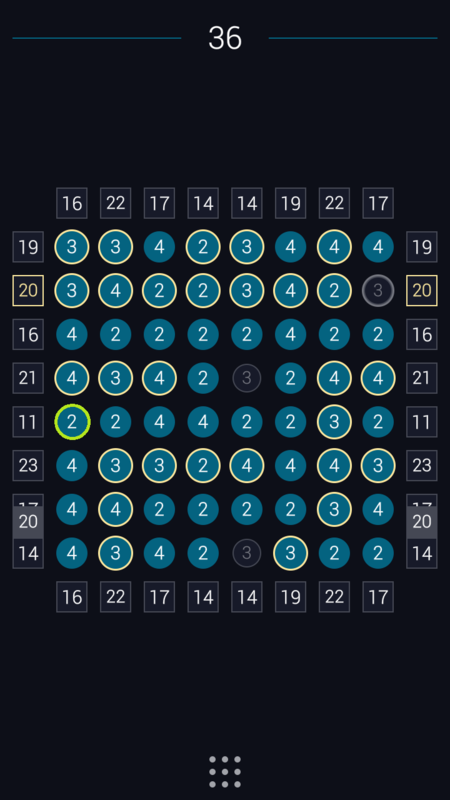 Logic grid puzzles are generally supposed to have a unique solution. This Rullo puzzle has several solutions (unless there is some rule we are missing), so I would consider it an invalid puzzle. Here are four such solutions. The top two solutions are what I got when I chose to include the 4 in the first column, 3rd row. 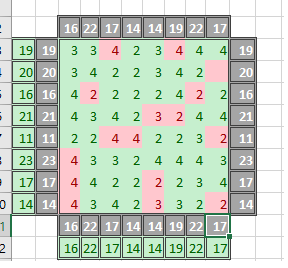 This eventually (after I think one or two more guesses) led to a situation with only four undetermined cells arranged in a rectangle all with a 2. One diagonal pair had to be included, the other excluded, but both were possible. 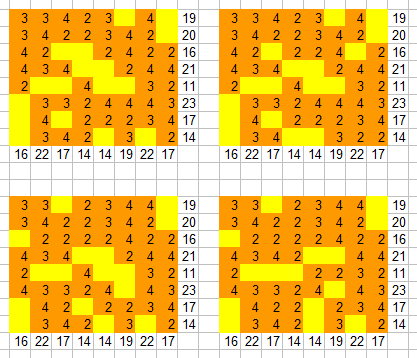 The other two solutions are what I got when I chose to include the 4 in the first column, 6th row. This led to about 6 undetermined cells where there were two ways to choose from. There may be even more solutions. After getting to where you were I kind of made educated guesses based on areas that had rows and columns that needed to get rid of the same values. 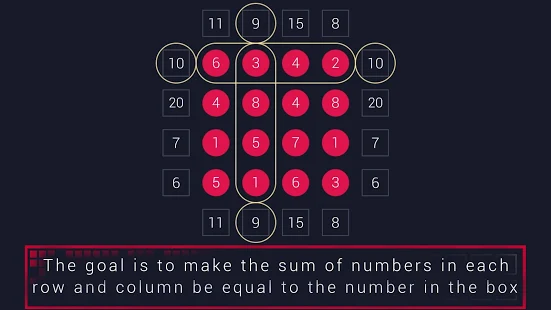 How many digits can be removed from a multiplication puzzle and still give only one answer?